"The only way to read your audience is with eye contact and smiles." 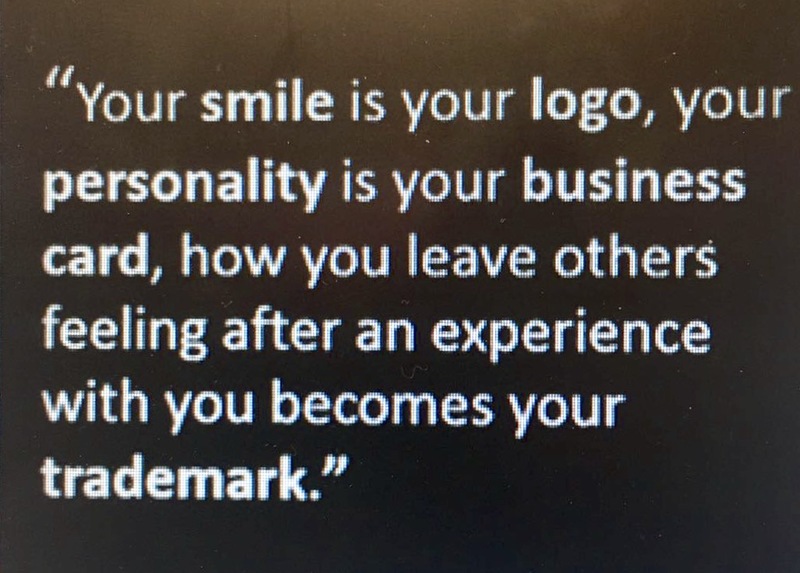 Basically, it comes down to leaving people with a positive feeling through your interactions, and influencing others for the good. 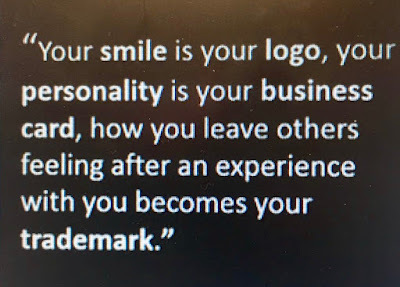 We have one chance to make a first impression--so yes, wow people with your smile, personality, integrity, and inspire them to do and speak good. If we all just say or do just one more good thing everyday, imagine that multiplied by 7.5 billion people. Now, multiply that by 365 days a years and you have 2.7 trillion more good things said and done in just a single year. Imagine our Heavenly Father looking down at us with so much good in our souls' bank.